If you are not from Greece you’ve probably never heard of Papigo. 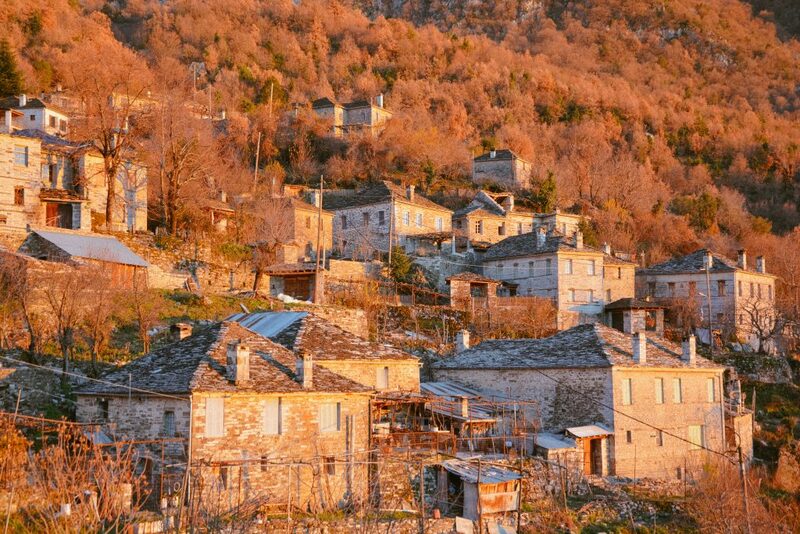 It is a small village located up in the mountains in the northwestern side of Greece. 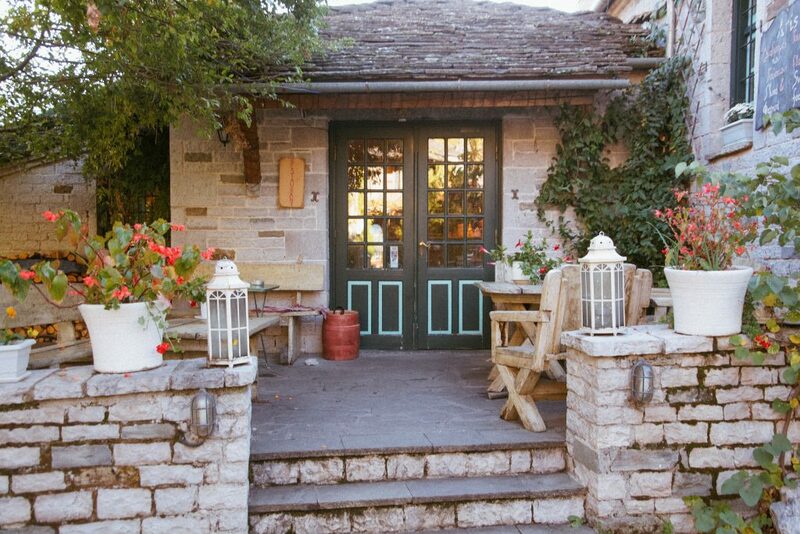 Nevertheless, its surrounding beautiful nature and its traditional stone built houses will surely steal your hearts. 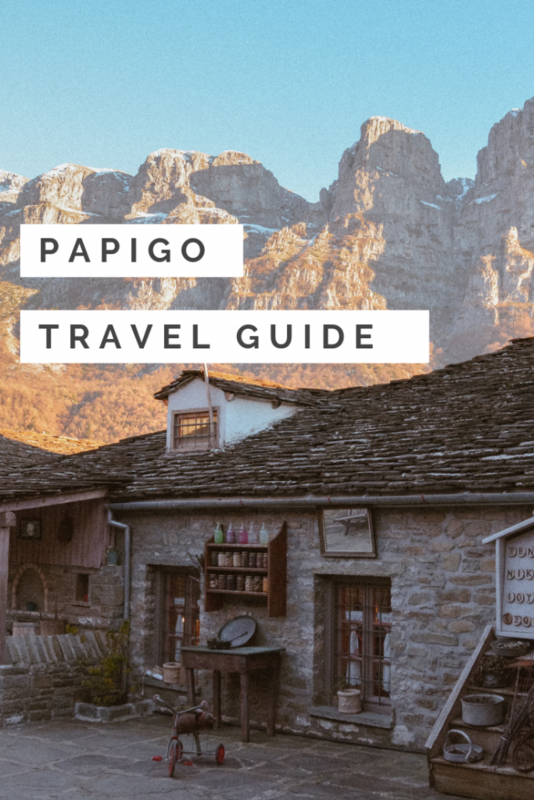 Follow along this complete guide to Papigo, Greece to learn how to get there, what to do and more! 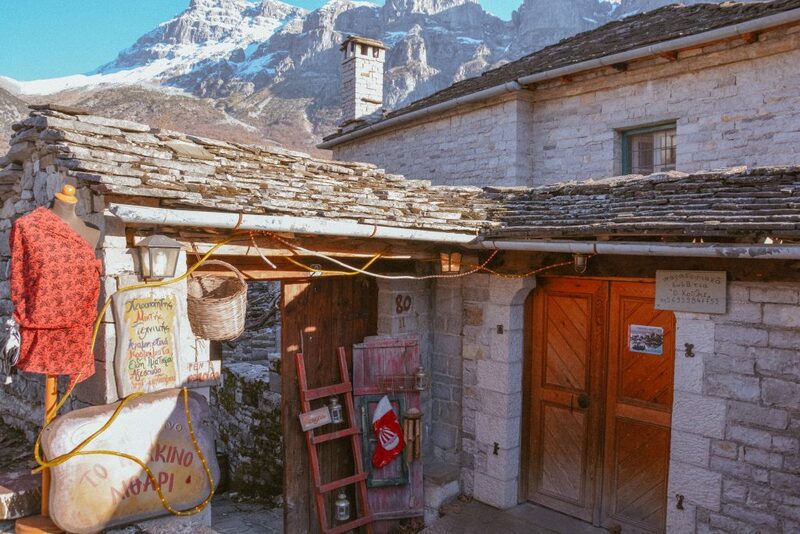 Papigo, which consists of Megalo and Mikro Papigo – big and small Papigo – is a village found in the municipality of Zagori in the Epirus region of Greece. 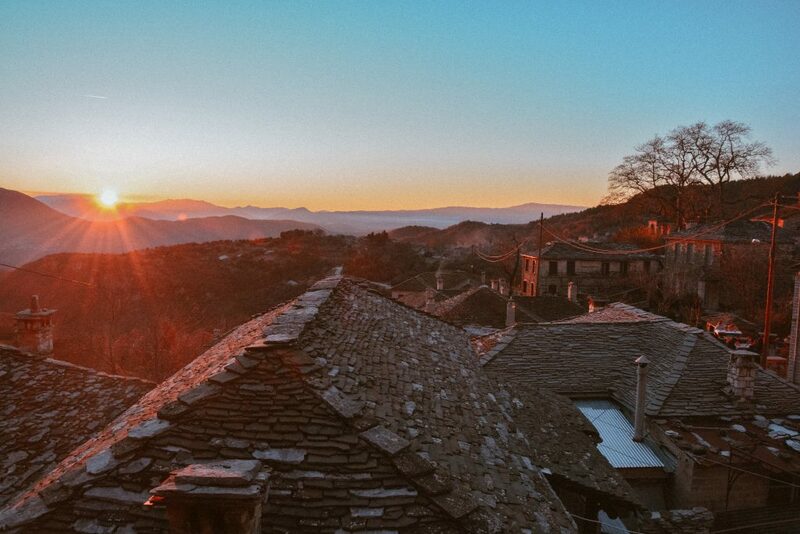 Zagori is a territory that consists of 46 villages placed sporadically throughout the mountains. These villages are popular all year round and are known for the beautiful nature surrounding them. 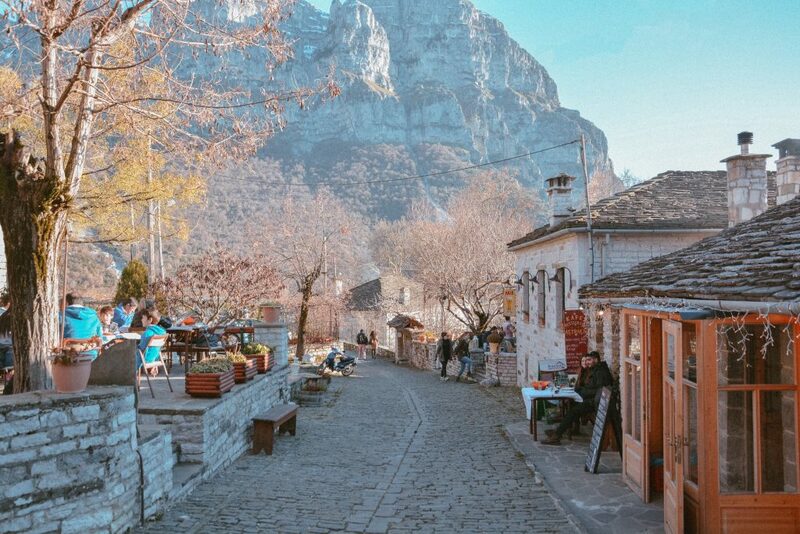 The most striking spot in the Zagori region is Vikos Gorge, the largest canyon in Europe that can be seen from miles away. The road leading to Papigo is a picturesque and scenic road. 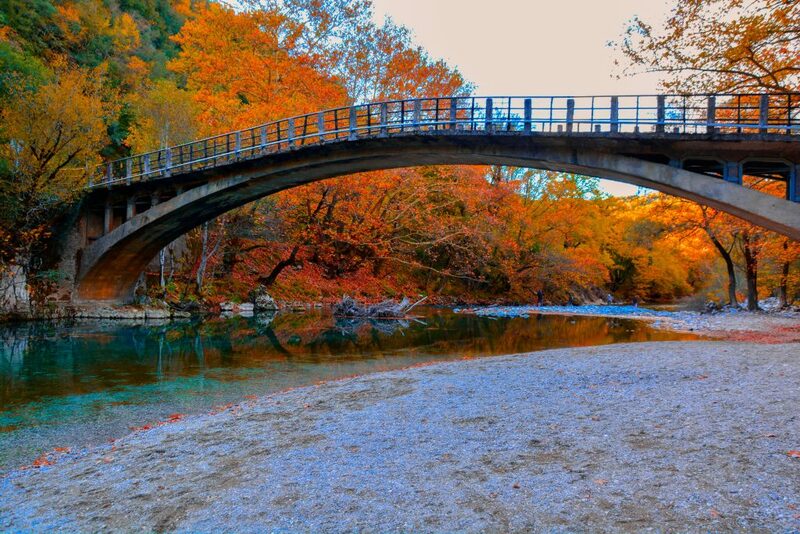 Be sure to stop right after the Voidomatis River to admire the crystal clear waters of the river and the natural scenery. After your small break at the river, the drive to Papigo is for yet another half hour. Pay close attention on the road because it is narrow and very zigzagged. 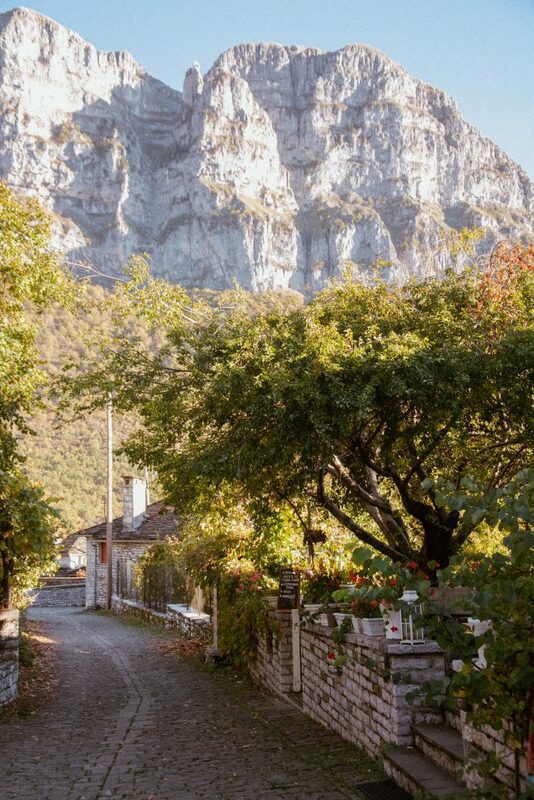 Once you reach the foot of Papigo, leave your car at the community parking and enjoy a stroll around its narrow stone alleys and historic buildings. Coming from Ioannina: Take the Ioannina-Kozani National highway toward Metsovo-Aristi-Papigo.Total distance from Ioannina: 59 km; about an hour’s drive. Coming from Thessaloniki: Take the highway towards Kozani, 312 km; about a four hour drive. Coming from Athens: Take the road via Rio bridge, 495 km; about 5 and a half hour drive. 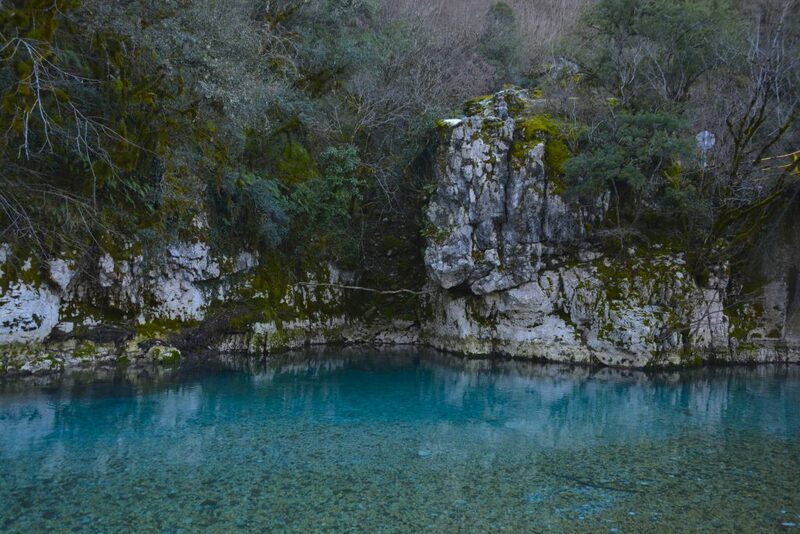 The region surrounding Papigo is an outdoor enthusiast’s paradise. From rafting in Voidomatis’ turquoise waters to climbing the Vikos Gorge, there are many alternative sport options. 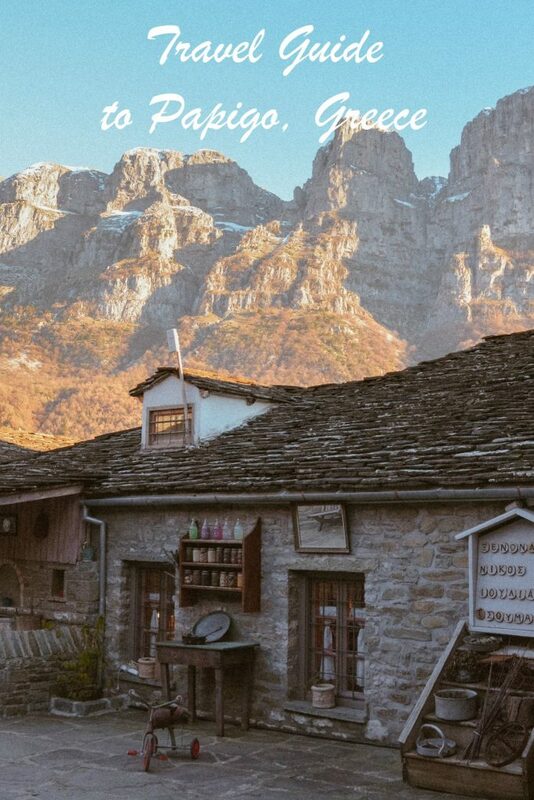 Some of the outdoor activities found in this region include rafting along the Voidomatis River, horseback riding, trekking, hiking and more. 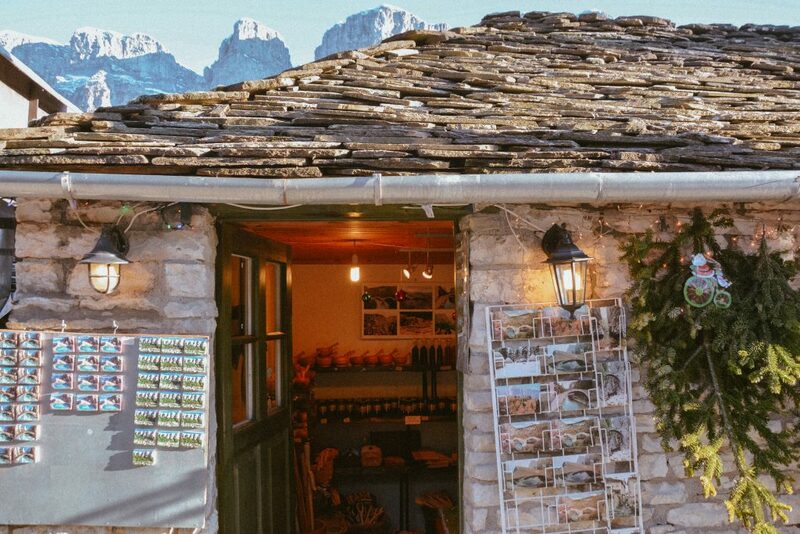 There are several shops where you can find souvenirs, traditional jams, liquors, antiques and more. 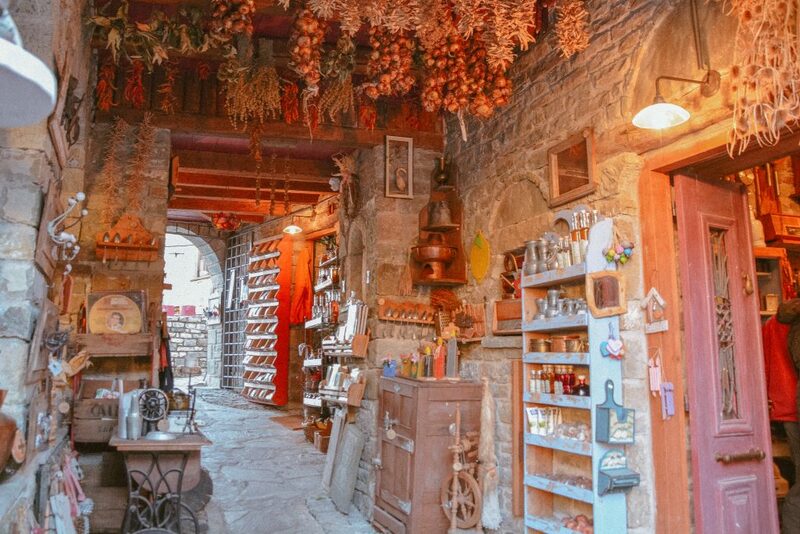 The shops themselves can be found in traditional stone buildings that are so charming and beautiful, you will forget that you are even in a store. Wander around Papigo and get lost in the alley ways and you’ll definitely run into a picturesque little shop/tavern/coffee shop/guesthouse. 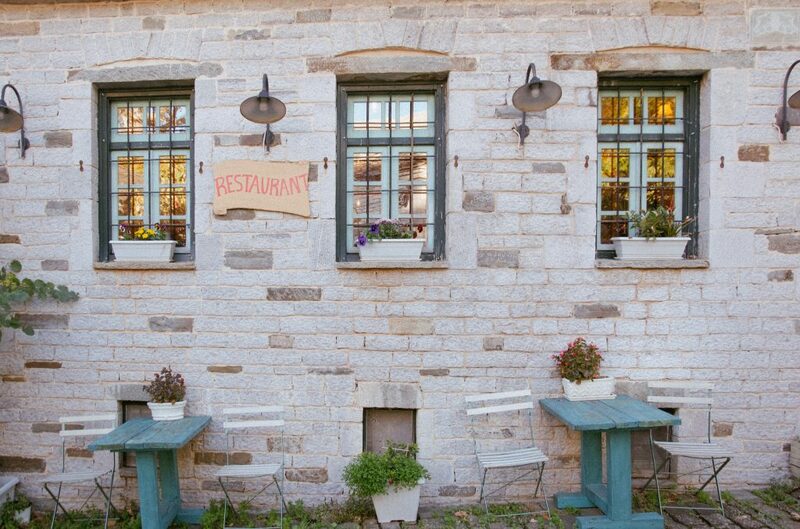 After wandering around the old village, you can enjoy a well-deserved meal at one of the traditional style taverns. From warm, hearty soups, to traditional Greek dishes, this will be a meal most memorable. 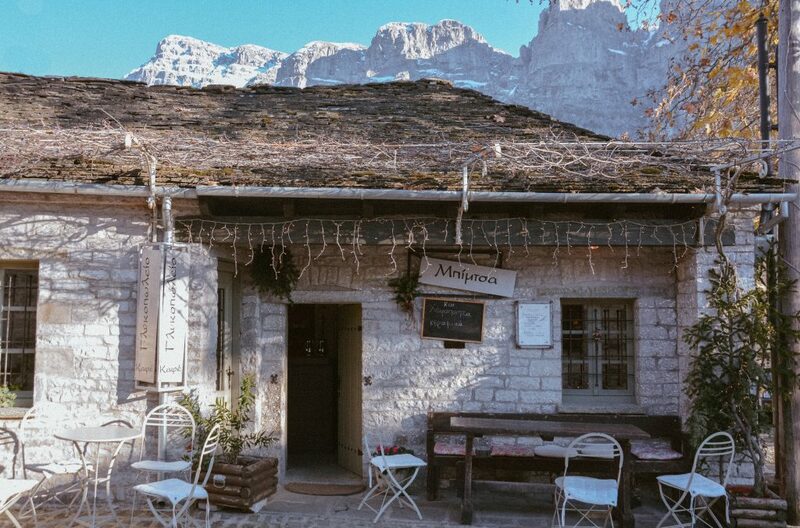 After your meal, be sure to sit at one of the charming little cafes to enjoy a cup of Greek coffee or liquor with a sweet treat. 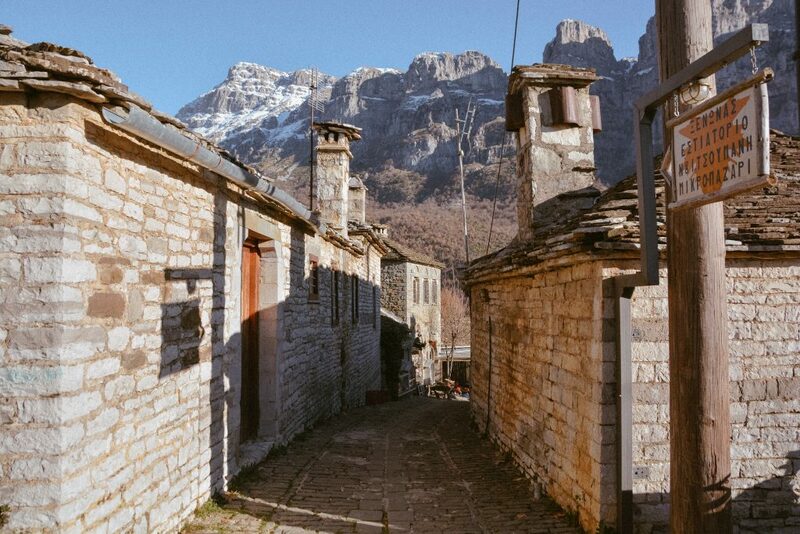 As I mentioned, Zagori consists of 46 small villages. 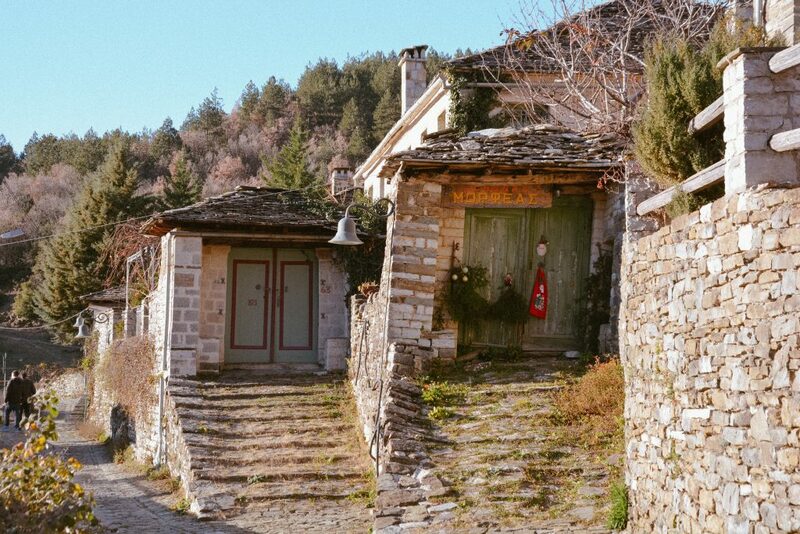 These mountainous villages distinguished for their traditional stone buildings and paved paths are all stunning. 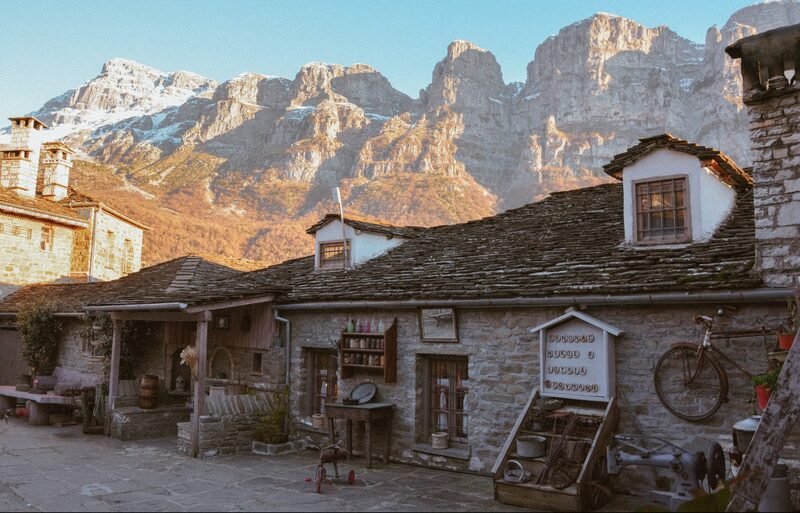 After Papigo, Monodendri village is also a popular tourist destination you should visit. 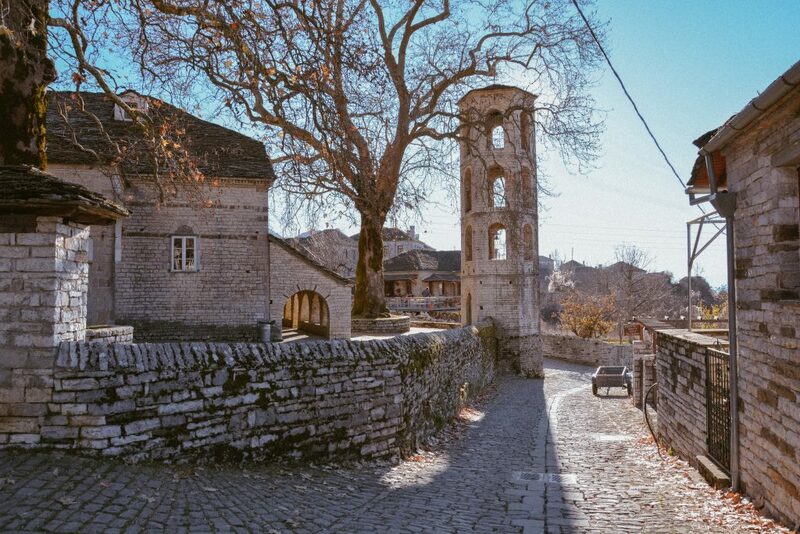 If time permits, do not miss a trip to the city of Ioannina – just an hour’s drive away. With a rich history, a beautiful lake, and a huge cave to explore, there are plenty of things to do and see there as well. 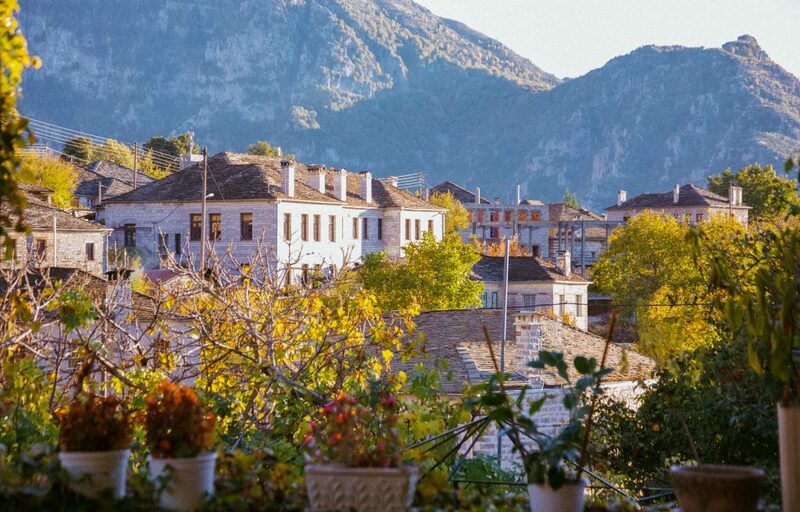 There are plenty of small traditional hotels found in Papigo and the surrounding villages, perfect for a weekend trip. 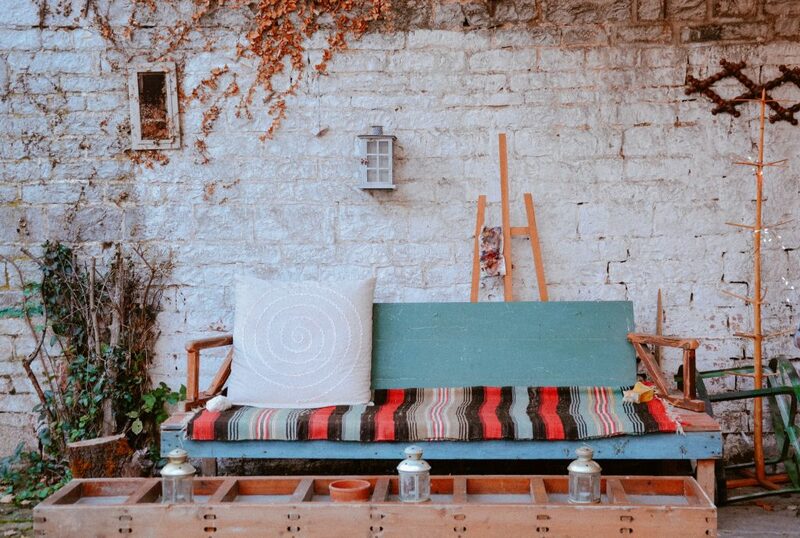 From airbnbs, to bed and breakfasts, to traditional guesthouses to luxurious hotels, there is something for everyone’s taste. Just don’t expect any large resorts, as the village is small in size. 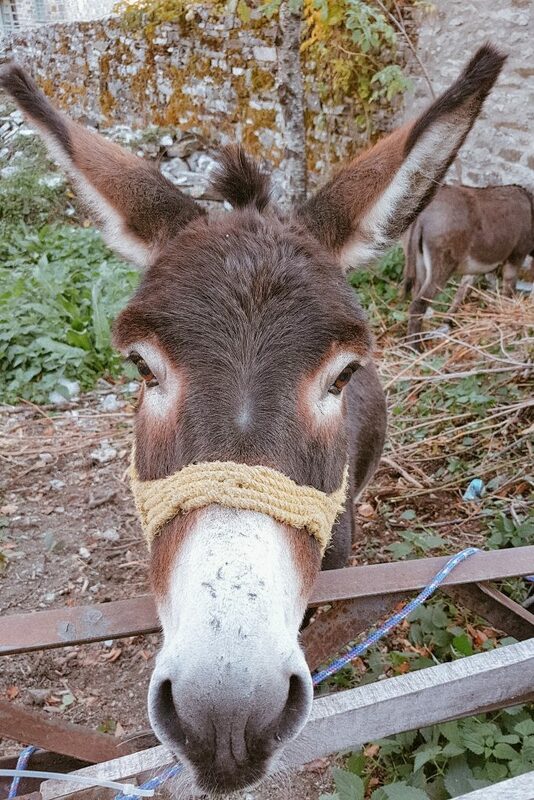 I hope you enjoyed this travel guide on Papigo! You can read more of my travel guides here! I was here in the winter time and it was beautiful. I see from the pictures that in the summer is magical!